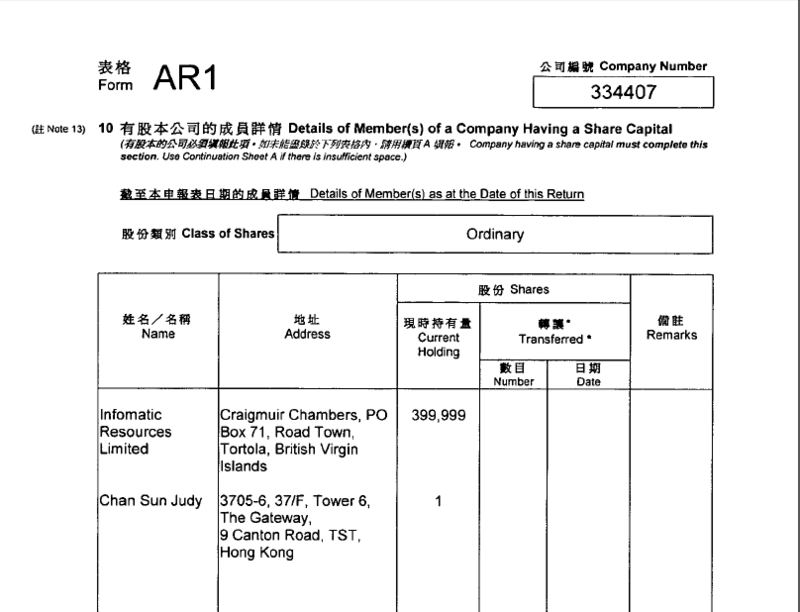 Page from a Hong Kong corporate filing shows that Hitoro Holdings, in which Gu Kailai’s sister is a director, is mostly owned by a British Virgin Islands company called Informatic Resources Limited. Like many members of the Communist Party elite, recently purged Politburo member Bo Xilai and his family members did business in Hong Kong and the West, making it easier for journalists to find a document trail. Bo’s wife Gu Kailai, a high-powered lawyer, practiced in the U.S. and lived in the U.K. for some time. The couple also sent their son to a posh boarding school in England then on to Oxford and later Harvard, where he is currently in graduate school. 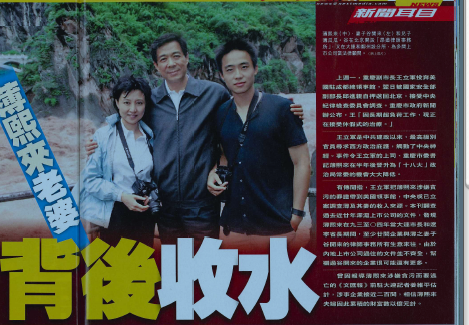 Hong Kong-based Next magazine followed the trail of corruption left by the recently disgraced Chinese Communist party official Bo Xilai and his glamorous wife, who has been implicated in the alleged murder of the U.K. businessman Neil Heywood. No recent political scandal has been more riveting than the one that has been swirling around Bo Xilai, the recently purged Chinese Communist Party official now in the international spotlight. As most of the media focused on Bo’s precipitous fall from grace and its implications on the Party leadership, a feisty Hong Kong magazine began sniffing the corruption trail. In two weeks of intense reporting, the Hong Kong-based, Chinese-language Next Magazine uncovered previously unknown business dealings by Bo and his glamorous wife. In subsequent weeks, reporters at the Wall Street Journal, the New York Times and Bloomberg, would be on that trail, too, trolling public records databases around the world to piece together information about the couple, information that in the pre-digital days would have been difficult to find. 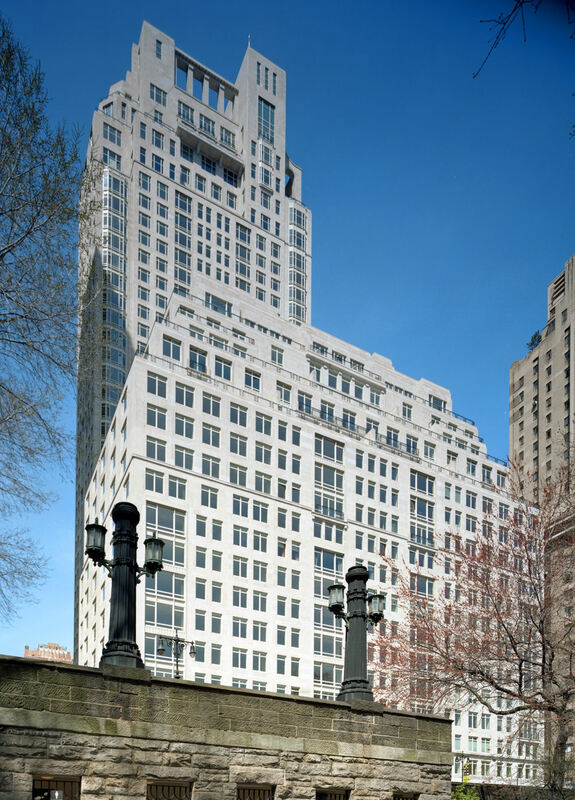 The rock star Sting is among those who bought an apartment on 15 Central Park West, where a Russian billionaire recently purchased an $88-million penthouse. It’s hard to find assets squirreled away in Swiss banks or buried in an offshore company in the Bahamas. Houses, however, are difficult to hide. As anyone who owns a house knows, a real-estate purchase leaves a trail of public records. That’s why they provide relatively easy pickings for investigative journalists. Reporters may not be able to find evidence of bribery or of other corrupt acts, but with some real-estate sleuthing, it’s possible to trace where the proceeds of crime or corruption went. Following the houses, therefore, can be as productive as (and sometimes easier than) following the money. It helps that land records are publicly available in most places – if not online, in public registers accessible to citizens. The New York Times’ recent piece on Russian billionaires gobbling up $1-billion worth of the fanciest real estate in Manhattan and elsewhere in the United States was made possible in part by the availability of real-estate records stored in online databases throughout the U.S. In New York, it’s possible to search ACRIS, the city’s online property registry, by party (owner) name or address. Last year, my students were looking into investments made by a shadowy Chinese company in Guinea. 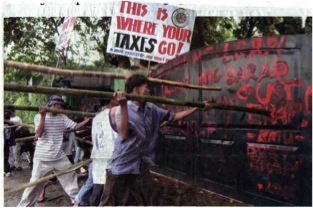 Demonstrators outside Estrada's 'Boracay' mansion. I didn’t know much about real estate until 2000 when my colleagues and I at the Philippine Center for Investigative Journalism were checking out rumors that then President Joseph Estrada — a former movie actor famous for his boozing and womanizing — was building fabulous houses for a string of mistresses. 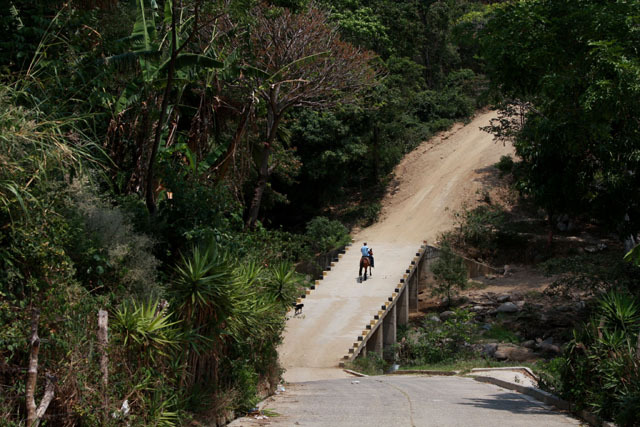 It turned out that the houses were just the most visible manifestations of the deep-seated corruption that was taking place during Estrada’s reign. Will the nonprofit bubble burst? The numbers are amazing and point to a clear trend. While nonprofit news organizations have existed in the U.S. for decades, the last three to five years have seen a real explosion. Last fall, the Investigative Reporting Workshop at American University published a database of 75 news nonprofits in the United States. Their total funding, the survey found, was $135 million; together, they had 1,300 full-time employees. This nonprofit explosion provides a ray of hope to the somewhat parlous projections about the viability of accountability journalism in the era of downsized newsrooms. The trend is global. News nonprofits are sprouting in Africa, the Middle East and Latin America.